So far we've covered the past and present tense in this exploration of Turkish song lyrics, and before we move on to other verb tenses, it will be helpful to add some vocabulary regarding description that will continue to come up subsequent lessons. We've already seen the word "gibi" meaning "like" as in Yaşar Kurt's statement in lesson one that he encountered "something like death (ölüm gibi bir şey)" on the backstreets of Beyoğlu. This lesson focuses on a song that employs a number of different adverbs that help enrich and add variety to descriptions. Our singer is Sezen Aksu. She was one of the pioneers of the genre of modern pop in Turkish music, and since that time, has been one of the most visible figures in that scene not only as a performer but also as a writer for big names such as Tarkan. As such, she has naturally served as a critic of various forms of gender discrimination against women as well as Turkey's LGBT community. We'll be hearing from her again in subsequent units. 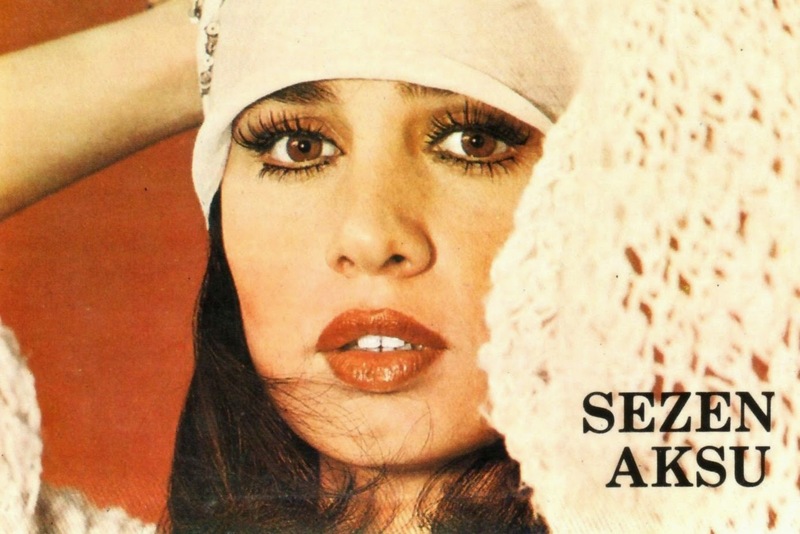 This song comes from her first LP entitled "Allahaısmarladık" released in 1977. It describes a love that has taken form of a burning passion, "flaming (alev alev)" as she says. For the purposes of this lesson, we will focus on the adverbs she uses to describe that love. The first we encounter is "ne kadar." This means "how much (literally what amount)" and is the question word we would use to ask the price of something in the market. However, in this context it is not a question but rather a statement of a large amount. "Ne kadar güzel", for example, means "how beautiful". "Ne kadar" can be paired with most adjectives when "çok (very)" just doesn't seem to cut it. The next word we have is "tıpkı". For those who need the etymology of this word, see our lesson on tıpkı itself. For now, we will learn the construction of "tıpkı X gibi" meaning "just like X". Sezen Aksu says that her lover's hand are so warm that they are "just like fire (tıpkı ateş gibi)". This can be used when one needs to express extreme likeness in a way that "gibi" does not fully capture. Another item like "gibi" that we will highlight in this lesson is "sanki" meaning "as if". This descriptor is also used for simile as in "gibi", but is especially helpful when expressing a simile that is more than a single noun. For example, "sanki" is necessary to make the sentence "It is as if my heart is a fluttering bird" / "Yüreğim çırpınan bir kuş sanki". We should also highlight the word "öyle", which is the sibling of "böyle" and "şöyle", all of which carry the meaning of "thus", "such", and "so" with different levels of proximity to the speaker (if that doesn't make sense, don't try to make sense of it at this moment). Used together with the particle ki, which will be discussed later, it brings the meaning of "so much" or "so much that". Thus, She says "öyle mutluyum ki" to "I am so happy". Finally, I will point to the word "en", which is put before an adjective to give the mean of "the most x". Here, as in really the entire song, she is exaggerating, so when she says "en tatlı sesin" meaning "your most sweet voice", it just means your voice is very very oh so sweet. If we wanted to render this into a more regular Turkish word order, it would be "Kalbimin her köşesi sevginle alev alev yanıyor." "Yapayalnız" is a emphasized form of the adjective "yalnız". We won't be able to deal with this type of adjective systematically until later lessons, but means means "completely lonely" or "all alone." Overwhelmed by hyperbole yet. I hope not. Our next Lesson 8: I Will Die focuses on the future tense. Try practicing the words from this lesson with the Scatter game below before moving on.